Romantic European vacations are amazing whether you imagine your honeymoon playing out like a fairytale or you simply want to see something exciting and to do something new. From castle and spectacular architecture that you can’t see anywhere else to steamy beaches that instantly put you in a romantic mood, there are many options for a European honeymoon vacation. The city known as “Salt Fortress” is commonly visited for its rich Baroque architecture and the snow-capped mountains in the surrounding environment. Mozart was born here, and “The Sound of Music” was produced with this city as the backdrop. If you do nothing but walk around and enjoy the sights and sounds you’ll find romance, but don’t let it end there. Hold hands while you browse the “Old Town,” also known as Salzburger Altstadt. This is a popular tourist attraction, so make sure to escape the crowds by taking a cable car to the top of Untersberg Mountain or touring the streets after dark in a horse-drawn carriage. You may also want to tour some of the famous landmarks, including Hellbrunn Castle, Mirabell Palace and Gardens, and Salzburg Fortress. Positioned on the shores of the Mediterranean Sea, this small coastal town is perfect for couples interested in lounging on beautiful beaches, capturing spectacular sunset views, and indulging in some of the best food in the world. 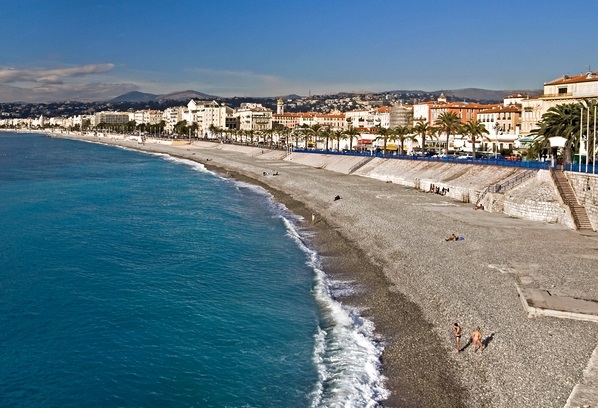 The Musee Matisse is a must-visit destination for music lovers, and the French Riviera is the go-to beach spot for all in search of romance. For active couples interested in enjoying the great outdoors in a new setting, St. Moritz is heaven any month of the year for a romantic European vacation. In the winter, the town turns to the snow-covered hills for skiing, bobsledding, and some little-known amusements like snowkiting. Beyond the snow, popular activities include hiking, kitesurfing, windsurfing, and simply relaxing by Lake St. Moritz and Lake Sils. For a memorable experience, you can hike at Lej da Vadret, which is a lake positioned right below Roseg Glacier. Sitting on the Adriatic Sea in southern Croatia, this little town will fill your soul with romance even if you do nothing but walk around the 16th century stone walls that encircle the city. Find the Stradun when you’re ready to browse through small shops and find something to eat. Tour the city for the beautifully preserved architecture that spans multiple historical periods. Definitely visit Fortress Lovrijenac for spectacular views of the sea from up high. Do you want to spend your honeymoon soaking in geothermal hot springs and tasting food that you never even knew existed? Head to the capital of Hungary, which is split in two by the River Danube. On one side is Buda, and on the other is Pest. Small islands dot the water in between, and the Chain Bridge connects everything together. Besides enjoying spas that offer indoor and outdoor thermal baths, enjoy the historical roots of this city by visiting Buda Castle, Hősök tere, St. Stephen's Basilica and the House of Terror. 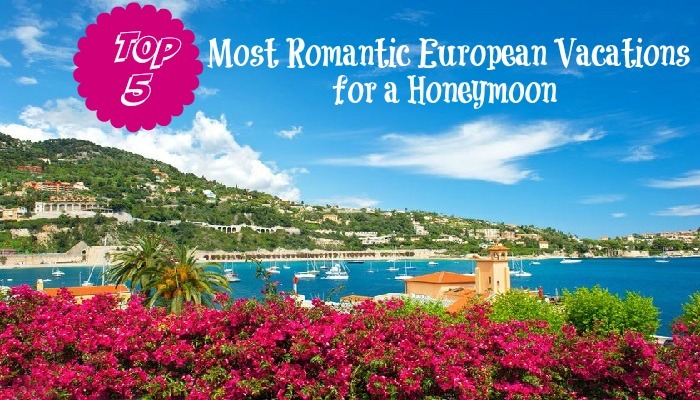 If more than one of these romantic European vacations are perfect for your honeymoon, consider extending your trip and visiting multiple destinations. Depending on your budget and the deals that you manage to snag, you could create a whirlwind vacation that sets your marriage up for romantic success.